During the 46th week of the Great Return March demonstrations in Gaza, the Israeli forces continued to use lethal and other forms of excessive force on Palestinian protesters. The documentation by Al Mezan Center for Human Rights shows that on Friday, 8 February 2019, Israeli forces killed two children and injured 104 protesters, including 43 children, five women, and one paramedic—of them 22 by live ammunition and 48 by tear gas canisters. One protester was seriously wounded. -- At 3:30pm, Hasan Shalabi, 14, was shot in the chest with a live bullet at the demonstration in east Khan Younis. According to eyewitnesses, Shalabi, a resident of Khan Younis, was about 60 meters away from the fence when Israeli forces shot him. He was then taken to the Gaza European Hospital, where he was pronounced dead on arrival. -- At 5pm, Hamza Ishtiwy, 17, was shot in the neck with a live bullet at the demonstration in east Gaza City. Eyewitnesses provided that Istiwy was about 50 meters away from the fence when Israeli forces shot him. He was taken to Shifa Hospital, where he was pronounced dead half an hour after his arrival. -- Jihad Al-Hinawi, 50, a paramedic with the Civil Defense, was hit by a tear gas canister in his left leg while he was evacuating casualties in east Khan Younis. -- An ambulance of the Civil Defense was partially damaged as Israeli forces fired a tear gas canister towards it at the demonstration in east Khan Younis. 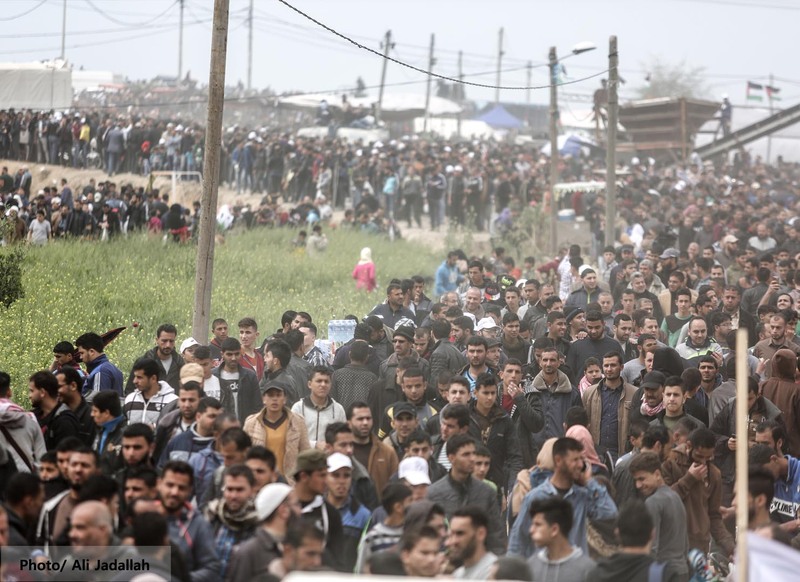 Since the start of the protests on 30 March 2018, 265 Palestinians have been killed in the Gaza Strip. Of the total fatalities, 188 were killed at the protests, including 38 children, two women, two journalists, three paramedics, and eight persons with disability, including one child. Another 14,378 persons have been wounded, including 3,058 children, 630 women, 171 paramedics, and 149 journalists. Of those wounded, 7,635 were hit by live fire, including 1,426 children and 152 women. The Israeli forces continue to keep the bodies of 11 fatalities, including three minors. Al Mezan reiterates its strong condemnation of the use of lethal and other excessive force by the Israeli forces, including sharpshooters, to police demonstrations. Al Mezan expresses deep concern at the continued attacks on unarmed protesters, including children, as well as on paramedics and journalists, who are visibly marked as such. Al Mezan stresses that the right to peaceful assembly and free expression are fundamental rights and must be respected. Unarmed protesters not posing any serious or imminent threat to the Israeli forces must not be shot.